Have you ever considered what becomes of all the shipping containers when they have done their duty and need to be replaced? You might think they end up in some landfill, and maybe some of them do; but, many are getting a new lease on life. 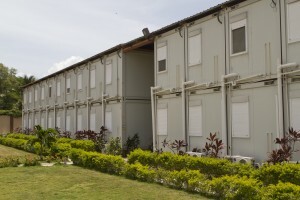 How are recycled shipping containers being used? That is just a few of the ways a recycled shipping container can get a new lease on life instead of ending up in a landfill. Depending on the container material it may need to be sandblasted, sealed, and repainted as in the way recycled steel shipping containers must be done. If it is going to be used as a home, a field office, or shop it will need to have some customizing in the way of doors and windows, as well as, insulation. New Zealand on Screen is a project that is the recycling of shipping containers to provide a new addition to communities across the country by using them to show films and videos both inside and on the outside of the containers. What other uses do these recycled containers have? There are plenty of uses for these types of containers from a workshop to storage. Some have used recycled containers to make pools, even do hydroponic gardening with. There have even been suggestions of them being used as fallout shelters, however, that would require a lot more customization in how the container is buried and the air is filtered, etc. They would certainly make good storage underground for canned and freeze dried foods blankets etc. should the need arise. While it is not what I would call cheap it is cost effective particularly if you consider the lifetime of low maintenance, unlike a wooden structure. These homes would not be bothered with termites or wood bees that destroy wood. They are structurally safe and have lower break-in possibilities as opposed to a stick built home. You can actually have a very nice home with plenty of curb appeal as well as inside charm with container homes. You can easily use a 20 foot recycled shipping container to make an on worksite office. Depending on the size of the workshop you need, you could certainly use a shipping container. With some architectural planning and thought a recycled container could also be turned into a small retail or beauty shop. 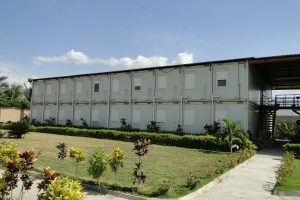 You can also make containers into a storage facility for your business with some forethought and planning. It is all in how you present the exterior and interior of the containers when it comes to looks and functionality. You can have an eco-friendly attitude that will keep your community looking nice with the use of recycled shipping containers which can be used for so many things.